Mr. Tenzin Yeshi la might have misunderstood as if I am personally starting a private school. That is not the case. I wanted TCV or Department of Education, Tibetan government in exile could explore the possibility of starting such a school. Please refer to my article. (I will then approach with my project proposal to all the related offices such as TCV, Office of Tibet New York, Department of Education, Kashak, Chitue Lhenkhang, etc. Being a former student of TCV, I am positive that TCV will definitely take keen interest in the project). Most of the answers to his questions are there in my article itself. Let me briefly point them out. Question 1: I don’t think Tibetans need a TCV-style Tibetan school. Instead, we need an immigrant-style Tibetan school in the North America such as Jewish Charter School. Answer: It is a fact that these days many people consider TCV as the best Tibetan School. But I did not say we need exactly a TCV style school. Please refer to my article (Of course, there will be some deviation in the structure of the school depending on the legal and other aspects of the host countries). We can certainly draw some good points from other immigrant schools. Again please refer to my article (Jews, Japanese, Chinese and other immigrants have been able to start similar schools and able to preserve their language and culture. I strongly believe that we Tibetans can also do the same). Question2. When Tashi Phuntsok la proposes a TCV Model School in North America, is he implying a boarding school? If so, I believe, it will be a huge challenge with child safety agencies such as Child Protective Services and Office of Child and Family Services. Question 3. If Tashi Phuntsok la is proposing a charter day school, then again, the problem is with the lack of a Tibetan-concentrated area such as China Town. Question 4. In 2008 or 2009, the Office of Tibet, New York took an initiative to establish a Tibetan Village in and around New York/New Jersey area, which eventually did not succeed, due to a lack of interested Tibetan immigrants in the project. I believe this village project has a potential to provide an opening for a Tibetan school. Answer: I believe it is not due to lack of interested Tibetan immigrants. If so, the project planners have to figure it out and find a solution and then convince the fellow Tibetans about the project. I have full faith in our community and the world knows that we are one of the most successful communities. Question 5. The biggest concern with U.S. charter schools is the funding. I am not optimistic on a large-scale funding from foundations or organizations because Tibetans in the United States are no more refugees. To learn more on charter school funding, here is a link http://www.uscharterschools.org/cs/r/view/uscs_rs/2065. Answer: I also mentioned about the need of a massive funding. Please refer to my article (Also starting an excellent TCV style private school requires massive funding). But I am optimist. If the Tibetan community approaches with project proposal prepared by an experienced grant writer and supported by all concerned including His Holiness the Dalai Lama, several foundations would certainly consider our requests. Finding massive grants from giant foundations like Bill Gate Foundations and many others are quite possible. And the amount for funding a comparatively small school private or charter school will not be a significant financial burden for these giant foundations. Also TCV already knows how to request for grants from numerous aid organizations. 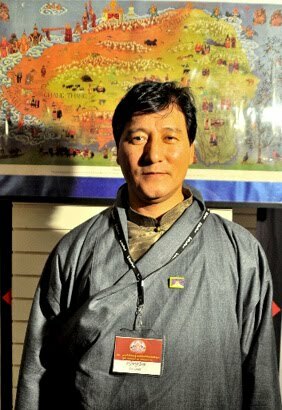 On top of that the Tibetan parents and Tibetan community organizations will be ready to contribute whatever they could for such an important project. Many Tibetan parents are already investing a lot of their income for the education of their children and many community organizations are also spending a good amount for the preservation and promotion of Tibetan language and culture. Also refer to my article. (…final shape to my plan with the help of some distinguished Tibetan professionals in the educational and legal field) The professionals include Financial and Grant Writing professionals also. Questions 6. If you are interested in learning more about starting a charter school in the United States, here is a link to go to http://www.uscharterschools.org/cs/r/view/uscs_rs/1699. Answer: Of course educational and financial experts will do their thorough research about charter schools not only from websites but using numerous resources if the project is considered by TCV or Tibetan government in exile. The rules and regulations about charter schools will also vary from state to state. Question7. Finally, will the school follow a two-language system, second-language system, or bilingual system? Answer: Again it depends upon the advice of the professionals. My main concern is preservation of the Tibetan language, religion, culture and moral values among our young children. I hope the above answers and clarifications satisfy Mr. Tenzin Yeshi la and the readers.